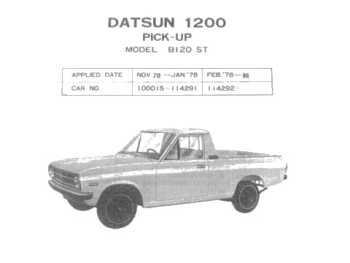 Welcome to our great selection of new Datsun 1200 parts, B110 parts, Datsun B120 Sunny parts, Datsun GL parts, Datsun GX parts, Datsun GX5 parts, and Datsun PB110 parts. We are often asked if our parts are new and original. The answer is yes. Absolutely. Check out the following links for your specific Datsun needs. We at NEW DATSUN PARTS are always looking for new suppliers of parts for the models listed on our site. If by chance you have some new Datsun parts I’d be very interested. 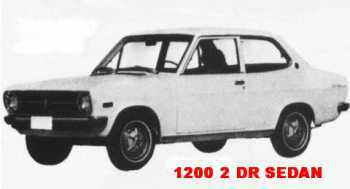 Nissan chassis code B110 Datsun 1200 car was made by Nissan Motor Co. 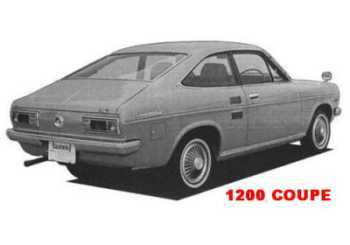 In Japan it was known as "Datsun Sunny 1200” sold in Japan from 1970-1973, North America Model years 1971-1973, New Zealand to 1974, and South Africa to 1976.